He’s Scotland’s Songwriter of the Year in 2004 and three-times nominated for Scots Singer of the Year. Jim Malcolm’s concerts are like a musical tour through Scotland’s landscape and history, with humor his constant companion. Jim Malcolm performs award-winning original songs, traditional ballads and the works of Robert Burns, with guitar and harmonicas. His harmonica work is pretty hot and he has a great voice. The Friends Meeting House is a 70 seat venue and he has sold out here before, so I recommend getting tickets early. Jim released a 2015 CD: Live in Perth , which is a rewarding selection of old and modern Scottish folk song, recorded live with no studio jiggery pokery in front of a lively audience of fans, friends and family. For 2017, Jim and Susie Malcolm have a duet album; they are great together. 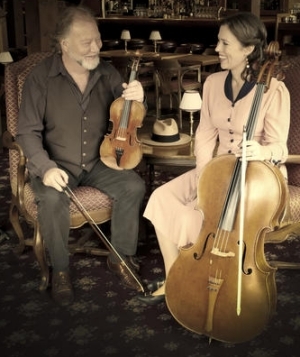 The new CD, entitled Spring Will Follow On is a selection of traditional and more contemporary songs they love, set alongside two new compositions from Jim based on popular fiddle tunes. A cheerful collection! 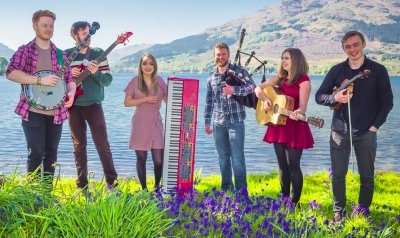 Daimh, Gaelic Supergroup and unchallenged champion, play straight in the eye Highland music and are based around West Lochaber and the Isle of Skye. 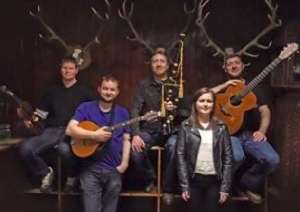 Formed around the turn of the century and taking the name from the Gaelic word for kinship Daimh (pronounced Dive) have taken their contemporary take of Highland and Gaelic music to over 20 countries, setting audiences alight from Moscow to San Francisco. With a reputation as giants of the Bagpipes and Fiddle, Angus Mackenzie and Gabe McVarish lead the melodic powerhouse with fellow founder member Ross Martin underpinning the groove on the Guitar. 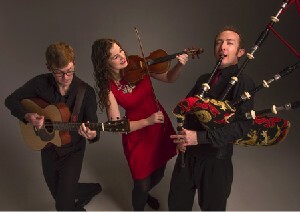 The Band is joined by new guy Murdo Yogi Cameron on Mandola and Accordion to complete the instrumental line up. 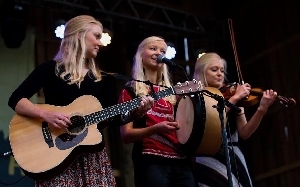 Hitting the streets of their hometown – Edmonds, Washington – in 2006, The Gothard Sisters first began playing together as a violin trio busking for tips at the local farmer’s market, working their way onto stages at local fairs and festivals. Audiences responded with enthusiasm, and over 1,000 performances later the band recently performed at the Millennium Stage at the Kennedy Center in Washington D.C., completed several national concert tours of the United States, regularly perform as guest entertainers on Disney Cruise Line in Europe and South America and are well-known musicians on the national Celtic festival circuit. In December 2016 The Gothard Sisters charted on Billboard’s World Music Chart with their latest Christmas album, Falling Snow, alongside notable Irish music phenomena Celtic Woman and Celtic Thunder. 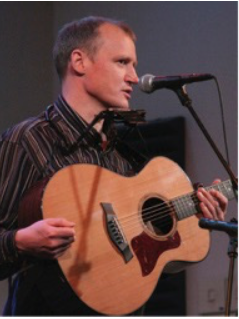 From Dundalk, County Louth, Gerry O’Connor has played and recorded with such highly regarded groups as Lá Lúgh (Eithne Ní Uallacháin, Sony Music) and Skylark. 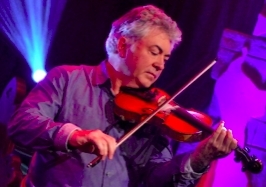 Gerry has toured and recorded with members of all the legendary groups including Planxty, Bothy Band and others. Lá Lugh’s album “Brighid’s Kiss” was voted Album of the Year 1996 by readers of the Irish Music Magazine. His solo album “Journeyman” was counted in the top five Albums of the year 2004 by the Irish Times. Advance Tickets (at Grassroots Books, 227 SW 2nd St.) are recommended as space is limited. 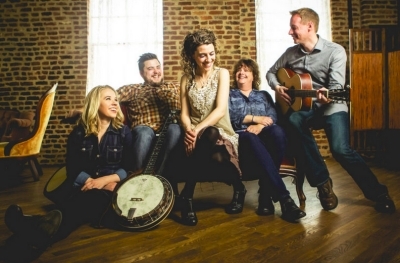 Quickly gaining recognition as one of Irish music’s new “super-groups,” RUNA has been en- chanting audiences by pushing the boundaries of Irish folk music into the Americana and roots music formats since their formation in 2008. Interweaving the haunting melodies and exuberant tunes of Ireland and Scotland with the lush harmonies and intoxicating rhythms of jazz, bluegrass, flamenco and blues, they offer a thrilling and redefining take on traditional music. 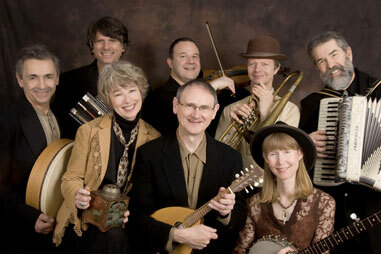 RUNA consists of vocalist and step-dancer, Shannon Lambert-Ryan of Philadelphia, Dublin-born guitarist, Fionán de Barra, Cheryl Prashker of Canada on percussion, Zach White of St. Louis on guitar, vocals and mandolin, and Maggie White of Kentucky on the fiddle and Mandolin. On the way to their juried showcase at the Arts Northwest Conference, Birch Pereira will bring an expanded version of the Gin Joints for a great evening of music on Sunday, October 7th at 7 PM. Joining the usual excellent trio of Jason Goessl on guitar and Adrian Van Batenburg on percussion will be New Orleans native Rex Gregory on sax and clarinet and Portland-basedJordan Vale on trumpet. Through a special collaboration with the Corvallis School District Theaters, Birch Pereira and the Gin Joints will be performing at the Corvallis High School Main Stage Theater and there is a special student price. An alumnus of CHS, Birch Pereira began his musical journey in Corvallis with elementary strings and the Heart of the Valley children’s choir. He followed that with music programs at both high schools including Camerata Orchestra, CHS jazz choir and the Corvallis Youth Symphony. Birch Pereira received his BA in Jazz Studies (bass performance) from the University of Washington in 2005. Since then he has become well-known in Seattle as a highly versatile bass player, band leader, composer, producer/engineer and teacher. With the formation of the Gin Joints he moved out front as vocalist, arranger, composer and bass player — and hasn’t looked back since. Anyone not familiar with the music of Bill Staines is in for a special treat (if you buy your tickets in advance – he sold out quickly last time). The Martha Room is a very intimate space and a great place to hear great music. 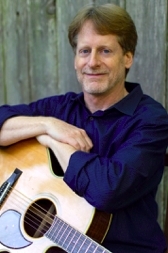 For forty-five years, Bill has traveled back and forth across North America, singing his songs and delighting audiences at festivals, folksong societies, colleges, concerts, clubs, and coffeehouses. A New England native, Bill became involved with the Boston-Cambridge folk scene in the early 1960’s and for a time, emceed the Sunday Hootenanny at the legendary Club 47 in Cambridge. 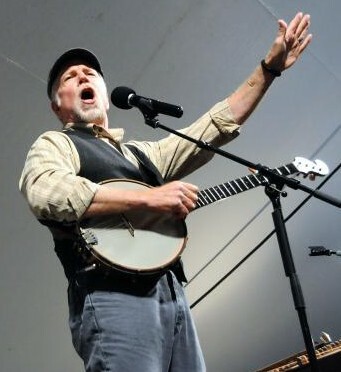 Bill quickly became a popular performer in the Boston area. From the time in 1971 when a reviewer from the Boston Phoenix stated that he was “simply Boston’s best performer”, Bill has continually appeared on folk music radio listener polls as one of the top all time favorite folk artists. Now, well into his fifth decade as a folk performer, he has gained an international reputation as a gifted songwriter and performer. Bill’s music is a slice of Americana, reflecting with the same ease his feelings about the prairie people of the Midwest or the adventurers of the Yukon, the on-the-road truckers, or the everyday workers that make up this land. Over the decades, you have heard Bill singing on Garrison Keillor’s A Prairie Home Companion, HBO’s award winning series Deadwood, and Public Radio’s Mountain Stage. Additionally, his music has been used in a number of films including Off and Running, with Cyndi Lauper, and The Return of the Secaucus Seven, John Sayles’ debut as a writer- director. In 1975, Bill won National Yodeling Championship in Kerrville Texas. Another important recognition was given to him in 2007. Presented by the Boston Area Coffeehouse Association, The Jerry Christen Award recognized Bill’s contribution to New England folk music. As well as recordings, over 100 of Bill’s songs have been published in three songbooks: If I Were a Word, Then I’d Be a Song, Movin’ It Down the Line, and Music to Me, the latter published by Hal Leonard Corporation. His song, All God’s Critters, has been recently released as a Simon and Schuster children’s book with illustrations by Caldecott honor-winning artist, Kadir Nelson. “Folk music is rich in the human spirit and experience. I’ve always wanted to bring something of value to people through my songs.” With these thoughts, Bill continues to drive the highways and back roads of the country year after year, bringing his music to listeners, young and old. In the fall of 2015 Yankee Magazine, New England’s premiere magazine, published it’s “80th Anniversary Issue.” In the issue, along with the likes of Stephen King and Katherine Hepburn, Bill was chosen as “One of the 80 gifts New England has given to America.” A true honor. 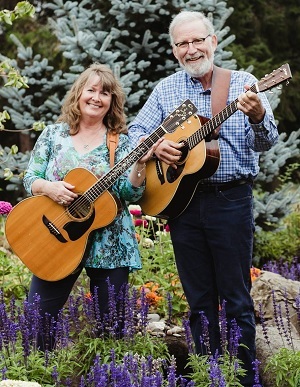 Mike and Carleen have been entertaining adults and children in Oregon for decades with original and traditional folk tunes. While they live in Eugene, it’s become rare to see them in Corvallis, and we should take advantage of every chance we get. 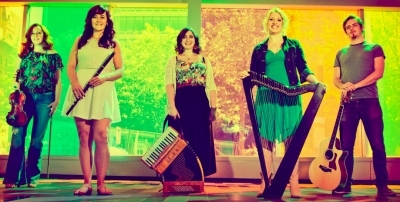 The Outside Track is a Pan Celtic group that performs Scots, Irish and Cape Breton songs and stepdance.